The <label> tag is used to create a caption for the Input element. 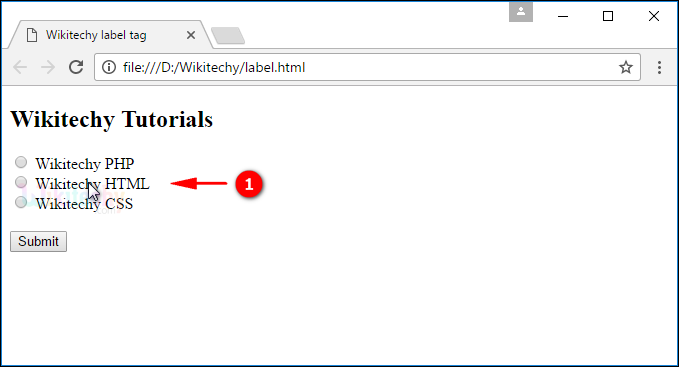 When the user clicks on the text within <label> tag that toggles the specified control. The <label>tag supports the Global Attributes and Event Attribute. The <label> tag belongs to Flow content, phrasing content, interactive content, form-associated element, palpable content Categories. In HTML4 does not support “form” attribute. The “form” attribute is new in HTML5. The id=”php” used to declare the id for the <input> tag. <label> tag used to define a caption. 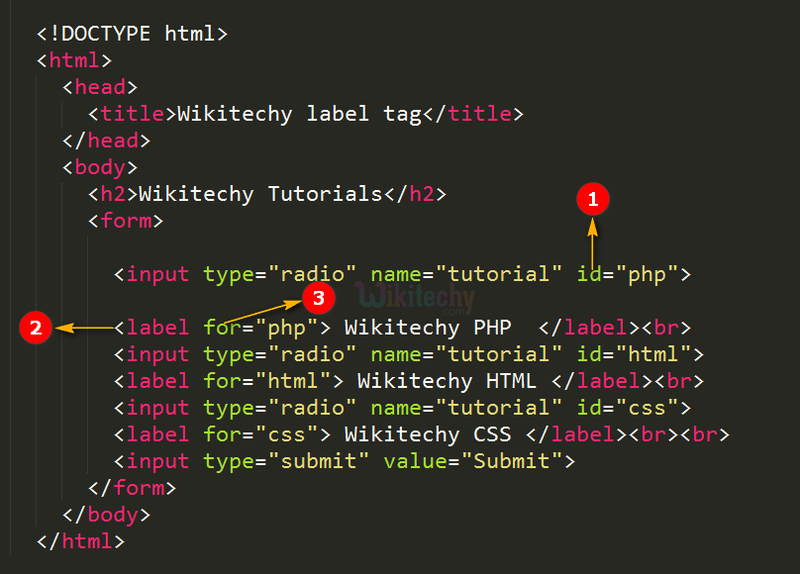 for attribute is used to map the label caption to the <input> which has the id as “php”. 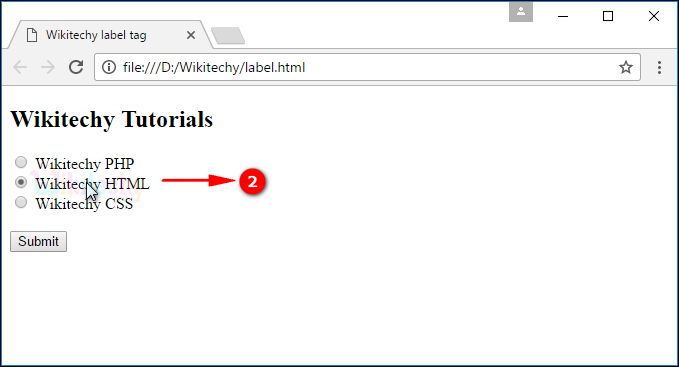 The output displays list of “Wikitechy Tutorials” radio button along with its label caption. When user clicks the “Wikitechy HTML” label that toggle the radio button. A label element can have both a “for” attribute and a contained control element, the for attribute points to the contained control element.